The largest multi-arts festival celebrates its 15th edition by expanding to three (3) days of workshops, performances, exhibits, street events, and museum tours. More than 3,000 artists participate from music, theater, dance, spoken word, and visual arts. 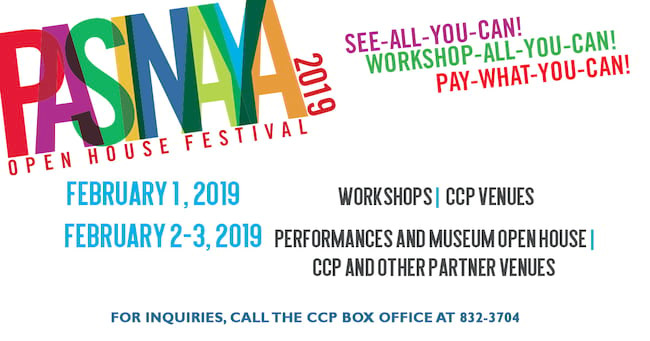 Themed Karapatan, Kalayaan, Kultura, audiences will get to participate in workshops, exhibits and film screenings at the CCP and other partner locations. Attended by more than 80,000 audiences, the Pasinaya Open House Festival transforms the venues of the CCP into the most creative place in the country for three days. 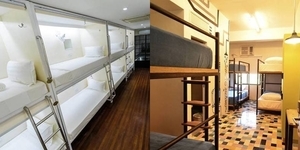 In partnership with the Museum Foundation, shuttle vans are provided to enable audiences to visit participating museums and galleries in Pasay and Manila.